In markets, timing is everything. With re-energized commodities prices and an evolving regulatory landscape, the spring edition of the CSE Day events in Toronto and Vancouver offered a well-timed opportunity for CSE-listed company representatives and investment professionals to assess the capital raising environment for emerging public companies. The value proposition for attendees of these events continues to ring true. CSE Day sessions this year attracted strong participation from CSE-listed companies and investment professionals who look forward to the opportunity to share knowledge, get connected, and be inspired. 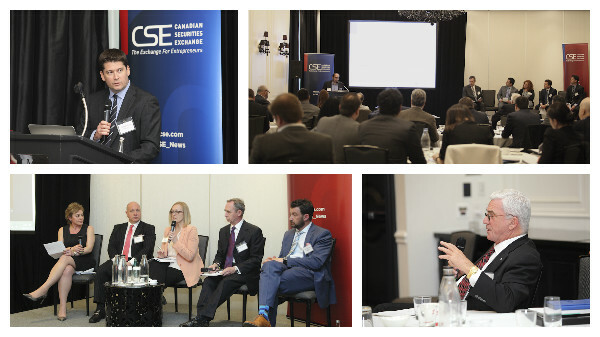 CSE Day Toronto took place in the heart of Bay Street and once again drew a diverse audience representing the spectrum of the investment community. Based on feedback from attendees of previous sessions, this year the CSE decided to evolve the agenda to focus on addressing issues relevant to companies looking to raise early stage capital. Specifically, two discussion panels as well as a presentation on the RegA+ roll out in the US comprised the first half of CSE Day Toronto followed by a ‘Pitch Reception’ and networking event to close out the day. The first of the two presentations entitled “The New Realities of Public Company Financing” discussed investment dealer and prospectus exemptions, crowdfunding trends and an overview of the Ontario Offering Memorandum (NI 45-106). Moderated by Michael Dolphin (WeirFoulds), panel members Raj Dewan (WeirFoulds), Jason Saltzman (Dentons), Richard Jozefacki (Foster & Associates), Ari Todd (Frontier Merchant Capital) and Stephanie Mann (Stockhouse) discussed new prospectus exemptions as well as the current opportunities and challenges facing crowdfunding in Canada. In the second panel discussion, entitled “Enhancing Liquidity – Challenges and Options” moderator Elizabeth Naumovski (Caldwell Securities) explored different aspects of markets including the role of IR in facilitating liquidity, market makers and their role in marketplaces as well as the impact of electronic trading on junior markets. Participants on this panel included James Beattie (D&D Securities), Cathy Hume (CHF IR), Adam Schmidt (CSE) and Dave Houlding (Independent Trading Group). To complement the financing panel discussion, Jason Paltrowitz, Executive VP of the OTC Markets Group in the US, provided an overview of Regulation A+, which has introduced equity crowdfunding in the US as the last stage of the JOBS Act. Reg A+ allows companies to raise up to $50 million in a public offering traditionally only reserved for participation by accredited investors. A noteworthy example of the promise of this new funding mechanism cited by Paltrowitz was Elio Motors. Elio Motors raised US $17M and reached a market cap of approximately $1B shortly thereafter. West of the Rockies, CSE Day Vancouver featured a slightly different format than Toronto. An exclusive executive lunch presentation was held at the historic Vancouver Club in which attendees were treated to a great meal as well as food-for-thought on entrepreneurship and business success from renowned entrepreneur and speaker Peter Legge. Among the highlights of his presentation were numerous anecdotes from his own business experience, each revolving around a common theme of “becoming what you think about the most.” All the attendees of the executive lunch also received a complimentary copy of Legge’s book entitled “Lunch with Joe”. In addition to the presentation, Richard Carleton, CEO of the Canadian Securities Exchange provided a brief update on the exciting online initiatives being undertaken by the CSE, including enhancing the Exchange’s digital presence. To that end, there was a new feature of the CSE Day experience which was broadcast live via the app Periscope. CSE Twitter followers and many more from across the globe were able to tune in to the live broadcast of the networking session and engage directly with VP of Listings Development James Black as he navigated the event venue. Live broadcasts of the pitch presentations were also provided online. In keeping with CSE Day tradition, several CSE-listed companies also presented their company pitches to event attendees. For those not familiar with the CSE pitch presentations, company representatives have the opportunity to tell their firm’s story to attendees within two minutes. Not only do firms who present benefit from the practice of their pitch to an important audience, the CSE also records and makes these ‘pitches’ available on the CSE YouTube channel here. 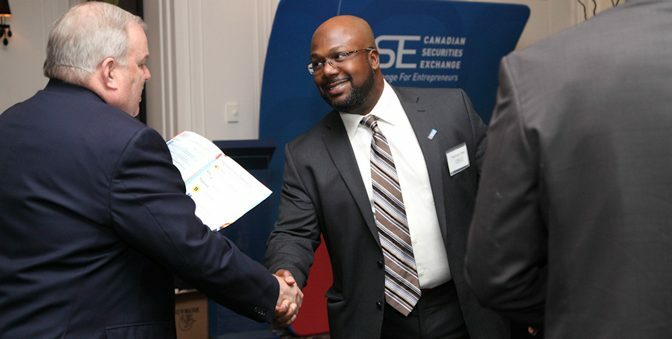 In total, CSE Toronto saw 13 companies present while CSE Vancouver had 12 provide company pitches. Below is a list of those firms who participated in each city as well as videos of company pitches. Regardless of which side of the country the CSE traveled to, the challenges facing entrepreneurs trying raising early stage capital are very similar. With no shortage of potentially market moving events on the horizon, investors, markets and publicly listed companies will have a great deal to digest. 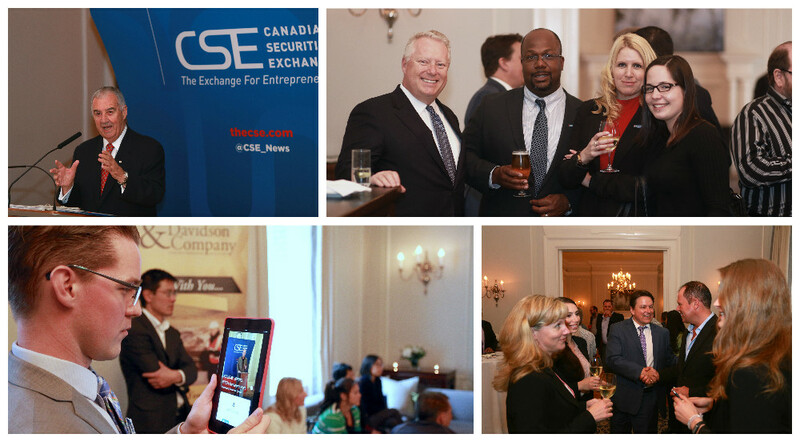 Fortunately, the CSE Day events will be back again in Toronto and Vancouver this fall. Despite the uncertainties in the marketplace, continuing to invest in knowledge and development is always a sound bet, regardless of the timing.